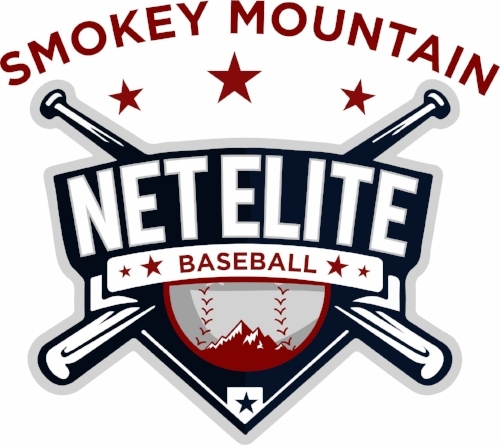 NET Elite Baseball is designed to help provide meaningful experiences, competition, and training for student athletes. Our goal is to grow with the community and help give kids the best chance to play baseball in front of colleges, scouts, and other teams that they wouldn’t normally compete against. NET Elite Baseball was founded by, former professional baseball player, Wesley Jones. Wesley partnered with his brother, Brad, and together they launched the company in 2014. NET Elite offers tournaments to youth ages 7U-18U and are open to any affiliated or non-affiliated summer teams. All youth tournaments are held at the best local facilities and Showcase events are held at College and University facilities, Minor League Stadiums, and High School fields. Each tournament will have its own, predetermined, format; all will include a minimum game guarantee. The majority of tournaments will be played in a round robin fashion, followed by a Championship round single elimination. Tournaments containing championship rounds will be predetermined based on the number of teams advancing. Please refer to our Tournaments page for more information about tournament formats. Wesley was born and raised in Kingsport, Tenn. where he was a stand-out athlete at Dobyns-Bennett High School. He went on to attend Milligan College where he set numerous college records on the baseball diamond, and obtained his degree in Kinesiology. Wesley, finished his senior season at Milligan in the top 5 in the conference in almost all offensive categories, and was selected first team All-Conference and Golden Glove. After college, Wesley spent time in the minors and in the Florida Minor League Camp. He spent 2 season in the Frontier League with the London Rippers and the Frontier League Road Warriors. In 2013, Wesley played with the Raton Osos in the Pecos League where he set a franchise record in single season stolen bases. Wesley and his wife Sydney, now reside in Kingsport, Tenn. with son Dawson. Brad was born and raised in Kingsport, Tenn. where he was an All-State athlete at Dobyns-Bennett High School. He went on to attend University of Tennessee at Chattanooga where he ran track for legendary coach Bill Gautier. At UTC, Brad obtained his degree in Accounting, and has been working in Business Development and Operations Management for over 20 years. 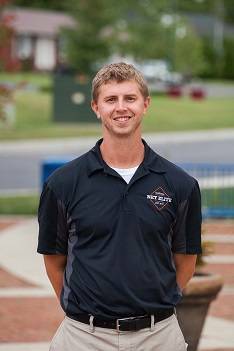 Brad has worked in the Minor Leagues with the New York Mets, and has advanced degrees from Sports Management Worldwide in Baseball Management, Scouting, and Baseball Operations. Brad and his wife Melissa, now reside in Kingsport, Tenn. with their children Madison, Ella, Amelia, Benjamin, and Emma. Jason grew up in Orlando, FL and came to Tennessee in 1989 to attend Tennessee Wesleyan University, where he played baseball from 1989-1993 and was named an All-Conference player all 4 years and All-District in 1991 and 1993. In 2017 he was also entered into the Tennessee Wesleyan Athletics Hall of Fame for baseball. He holds an Education Specialist degree, has coached baseball at multiple levels, and running events in the East Tennessee area since 1996. He now resides in Cleveland, TN where he is married to the love of his life, Dixie with their four children, Chase, Bryce, Camden and Alexa. Nichole is a Kingsport, TN native and graduate of Dobyns-Bennett High school. She attended Lee University and ETSU pursuing an Elementary Education degree. In 2009 she and her husband Jake, decided to start a family. She has been a stay-at-home mother until recently as both children are now in school. Nichole likes to stay involved in the local community. She has served as PTA president and a substitute teacher at her kid’s elementary school, taught at a cycle class at the YMCA, and led various bible studies at their church. Nichole enjoys helping people reach their personal goals and making a difference in their lives as well as in the local community.